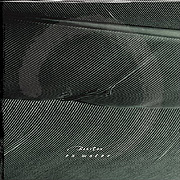 Although On Water (59'15") by Ben Cox is an album of deep Ambient soundscapes, the 7 tracks are by no means indistinct. Each piece drifts aimlessly into the listening area and somehow converts the silence into a detailed, exotic locale. To this end, Cox employs warm synthesizer drones as well as field recordings, plus the more identifiable sounds of acoustic guitar, voice, trumpet and piano - all perfectly placed and arranged. The soundscapes move without apparent motion yet visit distinctly different states of mood and sound, shifting easily between dark river dreams and sunset beach bliss. These quiet spaces are not at all demanding and perfect for the mind to roam through - or sink into. On Water is a confluence of various musical streams. It succeeds due to the delicate control and subtle organization over its elements. Cox produces beautiful and mysterious music that is more influence than force.